Srisailam Temple, Lord Mallikarjuna temple located at Telangana state. The shrine of Lord Mallikarjuna Swamy picturesquely situated on a flat top of Nallamalai Hills. Beautiful view nature and devotion at one place. one of the famous temple in Telangana state. after migration from Andhra Pradesh, Telangana state temple management took all right to develop srisailam temple. as we know Srisailam temple is reputed to be one of the most ancient kshetras in India. place of nature, temple is on the right side of the River Krishna in Telangana state. one of Divya khatam in India. as per Hindu Puranas Hindu devotee believed lord malikarjuna swami as Shiva. The prominence of this Divya Kshetram is highlighted by the fact that while performing our daily household rituals we specify place of location of our existence with reference to Srisailam temple. Located in a picturesque environment of Nallamalai Hills land of nature. ‘Srisailam’ the abode of Siva and Sakthi is on the right side of the river Krishna with beautiful Water. eye feast for nature lovers. Google map record, It is at an altitude of 476 meters above the sea level, at Latitude of 16 12” North and Longitude of 78 5” East. The directing Deities of this Kshetram lord Mallikarjuna Swamy is one of the twelve Jyothirlingas and Goddess Bhramaramba Devi is one of the eighteen Mahasakthis and both are believed to be self-manifested. at temple place the river Krishna flows through a deep narrow valley, approximately 100 meters wide and nearly at a depth of 1000 meters from the hill top. The unique special feature of this Kshetram is the co-existing of Jyothirlingam and Mahasakthi in one Temple complex, which is the rare and only of its kind in all other Jyotirlingas. At this place The river flows at a distance of 70 Km to the up of Srisailam and continues to flow in the same valley for a further distance of 80 Km to the down till it reaches Nagarjunasagar. In the Hindu traditional and Hindu mythology Puranas, Srisaila Kshetram is identified as the Kailasa on the earth and named as ILA – KAILASAM. Ila means Earth. Besides its mythical antiquity, Srisailam is also having a hoary historical antiquity. Puranas delivery very auspicious place, Starting from the Satavahanas who were the earliest rulers of Andhradesa, the region around Srisailam appears as a prominent religious centre and it continues to be so into the present times. many historical evidence we can see now. Pathalaganga water flow, Srisailam Krishna river, The narrow flow of the river at such deep valley is fine looking and more pleasant near Srisailam where it is called as Pathalaganaga. As a matter of fact the stream takes two rehashed twists at Pathalaganga with in a short separation and makes a substantial stretch of high Plateau in each twist. The inscriptional evidences available at Srisailam are of the 12th century A.D and afterwards which is very intriguing. Srisailam temple history However, the inscriptions belonging to various early historical places found in various parts of the Deccan and Andhra Pradesh, testify to its historical antiquity starting from first century A.D. to study overview of srisailam temple analysed from the view point of chronology, art and Architecture designs. History speaks about all. 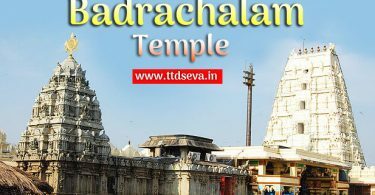 The right part of it we have Srisailam temple and whereas on the left there is ruined Chandraguptanagara ( ruled kings) which is mentioned in the Skanda Purana and also some of the celebrated Literary works of 12th to 16th centuries. Srisailam reach ways. Temple Located in a picturesque environment of Nallamalai Hills. Mid of forest Nalla Malla. here 4 ancient routes to reach srisailam. Sikhareswaram route, Bheemunikolanu Route, Neeliganga Route and Jatararevu Route. here provided detailed information about each and every ancient routes. Srisailam Temple routes one of popular, The Sikhreswaram route was used by the piligrims coming from costal Andhra Area. Andhra pradesh state devotees mostly this way. In this Sikhareswaram route they first visit the temple of Tripuranthakam which is the Eastern Gate way of Srisailam. At present Tripuranthakam is in Prakasam district and is of about 92 KM from Srisailam in Guntur – Srisailam road. Routemap with attach all region temple. After Tripuranthakam , they passes through Yerragondapalem, Venkatadripalem, Ganjivaripalli, Duddanala nagaru and Telagarayanicheruvu by bullock carts. They set all accommodations in villages. From there they reach Chintala, a small tribal village on foot and then to sikhareswaram and reach to Srisailam through a path way covered with slabs. Sikhareswaram route is one of toughest route. The Sikhareswaram is the highest range of Srisailam Hills and of about 898 meters. ( 2830 ft.) above the mean sea level. At last peak point. to reach Sikhareswaram temple, The peak of Sikhareswaram is the view point of Srisailam, from where the pleasant seen gives temple of Srisailam on one side and the river Krishna on other side. Water flows on left side. Nallamalla hills on right side. In another way the piligrim first reach Markapuram and from where they passes through Tokapalli and reach Dornala Village, From the Dornala they travel through Chinthala, Peddarutla, Chinnarutla the tribal habitations and reach Sikhareswaram and then to Srisilam. The present road from Guntur, Nandyal and Kurnool meet at Dornala and proceed up the hill of about the ghat road of 49 KM. Srisailam Temple Bheemunikolanu route. Bheemunikolan is one of best place near Srisailam. This route starts from two places of one is from Siddhavatam and other is from Alampuram and both are the Gate ways of Srisailam. Bheemunikolany Way route is, first starts Siddhavataam is the southern Gateway and is in present Kadapa District and Alampuram is the western Gate way and is now in Mahaboobnagar district. In this route Atmakur is the junction to which piligrim reach through Nandyal from siddhavatam and by crossing the river Tungabhadrs from alampur. Bheemunikolanu place map, They travel from Atmakur to small villages of Krishnapuram, Venkatapuram, Siddhpura, and to Nagalooty and up to this the journey is on plains. Nagalooty is place of temple complex datable to Vijayanagara period. The ventured method for this course starts from this place and these means were developed by the Reddy King Anavemareddy in between the period 1326 – 35 AD. to Reach Bheemunikolanu, The piligrim from Nagalooty passes through Peddacheruvu, a forest filled plateau and where the starts the ghat route climbing the hill and going down to Bheemuni kolanu, a deep valley. After passing through this valley the piligrim again climbs the hill and reach the Srisailam Gate way called as Kailasadwaram and from here to Srisailam dthrough Hatakeswaram, a place of traditional importance. The route from Kailasadwaram to Srisailam is easy to travel. Neeliganga Route to Reach Srisailam temple. Neeliganga is a ferry point of the river Krishna at its left side and is nearer to Srisailam. very near way route point to srisailam temple. This Neeliganga route is taken by the pilgrims coming from the Telangana State region. It begins at Nagarkurnool and passes through Amrabad, Telakapalli, and Umamaheswaram which is the northern Gateway of Srisailam and at present is in Mahaboobnagar District. Nagarkurnool town crosses reach up to Uma Rameswaram temple From this Gateway temple the pilgrims passes tribal habitations of Appapuram, Bhramaramba Cheruvu, Medimrakula, Sangadigundala and then cross the river Krishna at Neliganga revu on Aregas ( Big size baskets ). After crossing the river they climb up the hill Chukkalaparvatham and from there they walk of about 5 KM to reach Srisailam Temple. Pilgrims choose a different type of way to reach Srisailam temple. Jatara revu is also a ferry point of the Krishna river and this is the main route of this side. This route also diverges from Umamaheswaram, the northern gate way of Srisailam temple. After Umamaheswaram temple place the hill route leads to Mannanuru on the plateau. There is a path from here to Jatararevu which passes through Appapuram, Bhramaramba Cheruvu, Meedimrakula, and Akkagavi and after this, the pilgrim has to cross the Jatara revs climb the Chukkalaparvatham and reach Srisailam temple. Many stories circulated about srisailam temple history, According to an inscription , the Velama King Madanayaka constructed a flight of steps along this route in 14th century AD. The present bus route passes through Mannanuru and after a ghat road journey of 60 KM. it crosses the river Krishna over bridge at Srisailam Dam and reach Srisailam. Devotees can see Krishna river over bridge. as per Hindu Mythology, There is a common belief is in vogue that this Holy Kshetram exists from time immemorial. many stories circulated. he prominence of this Divya Kshetram is highlighted by the fact that while performing our daily household rituals we specify place and location of our existence with reference to Srisailam Temple places. According to Agni Puranam, in the Krithayuga the Demon King Hiranyakasyapa did penance at the Kshetram and worshipped God Mallikarjuna Swamy. This Kshetram was his Puja Mandiram and Ahobila Kshetram which is about 220 K.M. from Srisailam was his Sabha Mandapam. Hindu Puranas, the Skanda Purana History speaks proclaims that in the Trethayuga Lord Sri Rama with Seetha Devi during their banish has visited this Kshetram and consecrated Sahasra Lingas (One thousand Lingas) located. Strong sources says, The Epic literatures clear that in the Dwapara Yuga, Arjuna while his pilgrimage and the Pandavas during their exile spent some time in this Kshetram and worship the Deities. Pandavas performs special pooja on this kshetras. Even now there is a pond at the foot way of Srisailam called as Bheemuni Kolanu. Devotee can witness many historical signs. It is also said that Bhagavan Dattatreya did penance at this Kshetram and at now also there a tree ( Sthala Vriksham) in the temple complex named a Dattatreya Vriksham means Dattatreya Tree. In the Kaliyuga the Advaitha Philosopher Adisankara Swami, Siddha Nagarjuna, Veerasaiva Saint Allama Prabhu, Sivasarani Akka Mahadevi spent some time at this Kshetram and worshipped the deities. performs special poojas and yagam. History speaks about many stories. The Story Of Parvatha. he son of Silada Maharshi is said to have performed penance, pleased Siva and made him agree to live on his body. performs special Sevas to Lord shiva. He also prayed Siva that all the Devathas and sacred waters of all theerthas permanently remain on his top and all the Devotees irrespective of cast or creed visiting the scared place should be blessed with the Moksha offered by lord Shiva. God Siva granted these desired of Son Parvatha. The Parvatha assumed the shape big Hill ‘Srisailam’ and siva lived on its top as Sriparvatha Swamy. we should know about arunasura. The Story Of Arunasura is quite different. According to Hindu Mythology, Godess Adisakthi acquired the shape of Bhramaram (bee) to kill the cruel demon Arunasura and after words settled at Srisailam as Bhramaramba Devi. It is said that here the neck portionof sathi Devi was placed during Daksha Yagna and hence this place has became as Sakthi Peetam. Devottes prayed under Bhramaramba devi name. The Story Of Chandravathi. According to literary sources said, Chandravathi the daughter of the ruler of Chandraguptha Pattana situated near Srisailam on the opposite bank of the river Krishna ran away from her father who made amorous advances to her, went up the hill and settled there few servants. One day she found that one of her cows standing above a natural rock formation resembling the Sivalinga and shedding its milk over it. The princes Chandravathi in the dream were informed that the piece of the stone was a self manifested Linga of God Sriparvatha Swamy and took to worshipping it. she perform daily seva poojas. In her worship Chandravathi offers garlands of Jasmine (Mallika Pushpam) regularly. One day God Siva appeared to her and Chandravathi prayed the God to wear the Jasmine garland (Mallika Pushpamala) in his head permanently. There after Sriparvatha Swamy came to be known as Mallikarjuna Swamy (Mallika – Architha – Swamy). Reason behind Mallikarjuna swami. The Story of Vasumati, According to one story Vasumathi the daughter of a Rishi did penance about Brahmadeeva on this Hill. Brahma Pleased and appeared to her. Then Vasumathi asked him to grant her the name ‘Sri’ and also associated it with the name of this hill Srisailam, Brahma granted her desire and after that his Kshetram named as ‘Sri-salam’. Vriddha Mallikarjuna. Name behind stories, the Story Of Vriddha Mallikarjuna. There is another story that a certain princes in staunch devotion wished to marry God Siva and always spent her time in worshipping him. One night in dream Siva tells her to follow a block bee and stay where it settles till his arrival. She wakes up from dream, found a bee, follows it and reaches the top place of mountain of Srisailam. The sacred bee finally settles on a jasmine shrub and princes waits there. She pines Siva for several days. Meanwhile the performs pooja, survive her with honey and forest fruits every day. At last Siva appears before her with and old and wrinkled face and said that in search of her, he become old. The princes married him. On the occasion of marriage the Chenchus invited the couple for dinner and offered meat and drink. Siva did not accept that meal though the princes tried to insist him. At last Siva left the spot and went away. The princes called him for several times and he did not listen to her. Then she cursed him to become a stone (Linga) and he became Vriddha Mallikarjuna Swamy. On observing this, Parvathi cursed her to become Bhramaram (bee) as she followed bee. The Story Of Chenchu Mallayya. as per Myths Puranas story popular about Chenchu Malayya, The local tribal Chenchus states that on one occasion Siva comes to Srisailam forest as a hunter, fell on love with a Chenchu girl, married her and settled down on the hill. Basing of this story they look upon Mallikarjuna Swamy as their relation and call him as Chenchu Mallayya. This story is also depicted on the Prakaram wall of the Srisailam temple. 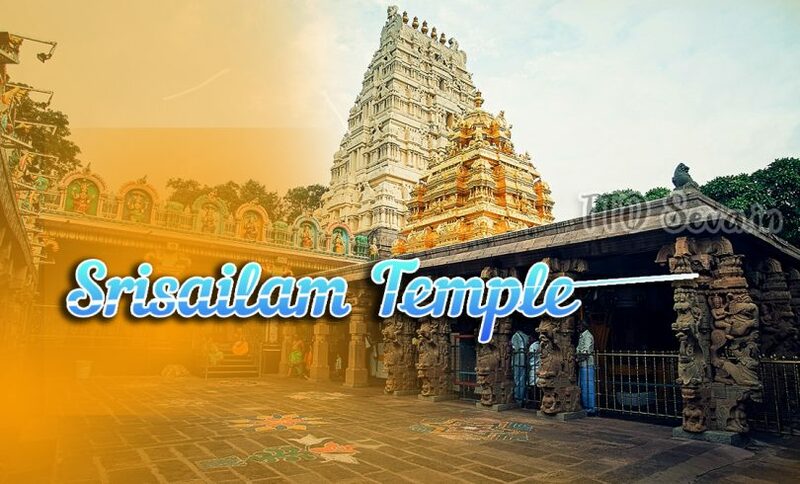 History Behind Srisailam temple, unknown facts about Srisailam temple. Srisailam played a dominant role in our religious, very special temple Shiva devotees visited on large scale. cultural and social history from ancient times. According to pre-historic studies the habitational history of Srisailam goes back to about 30,000-40,000 years. Puranas clearly shows, define about Srisailam temple. Stone tools of that period are abundantly found at various places of Srisailam. The epigraphical evidences reveal that the history of Srisailam begins with the Satavahanas. they are first empire builder in South India and also the earliest rulers of Andhradesa Kingdom. The earliest known historical mention of the Hill Srisailam can be traced in Pulumavi’s Nasik inscription of 2nd Century A.D. Malla Satakarani, an early member of he Satavahana rulers. Satahanas got his name after ‘Mallanna’ the deity on this sacred hill. The Ikshavakus ruled from their capital Vijayapuri about 50 Km from Srisailam and so this Kshetram must got their patronage. Near place to visit. The Vishnukundis were the devotees of God Sriparvatha Swamy who was none other than Mallikarjuna Swamy, the presiding deity of Srisaila Kshetram. Most of their inscriptions contain the prasasti “Bhagavat Sriparvatha Swamy Padanudhyatanam”. The period of Reddi Kings is the Golden Age of Srisailam temple that almost all rulers of this dynasty did celebrated service for the temple. Prolaya Vema Reddy, the Reddi King constructed stepped path way to Srisailam and also Pathalaganga. Anavemareddi constructed Veerasiro Mandapam in which the Veerasaiva devotees cut off their hands, tongues, limbs with devotion and this practice is known as Veeracharam. The Velama Chiefs constructed flight of steps at Jatararevu, en-route from Umamaheswaram to Srisailam. The major contributions and renovations at Srisailam were taken up by Vijayanagara Rules (AD 1336-1678). The Second Harihararaya of Vijayanagara empire constructed the Mukhamandapam of Mallikarjuna Temple and also raised a Gopuram on the Southern side of the temple complex. Srikrishnadevaraya visited the shrine in 1516 AD on his return journey after a war with Gajapathis and constructed Salumandaps on both sides of the car street. It also taken the credit of the construction of Rajagopuram of the temple by him. The fall of the Vijayanagara rule witnessed Srisailam and this Kshetram lost its glory.After that Chatrapathi Sivaji the great Maratha King visited Srisailam once, restored the festivals of the temple under protection of his officers and taken up some renovations. According to Hindu tradition the north gopuram of the temple was caused by him, to be constructed. his beautiful idea about constructions. Later the Moghal Emperors conquered this region and this place was given as Jagir to Nawabs of Kurnool. After the fall of Mughal Emperors, this place came under the control of Nizam of Hyderabad. When the Nizam cede the Kurnool District to the British East India Company. after that British rules, started their own developments a committee was constituted by the British Government for the management of the temple. In 1949 the temple came under the control of the Endowments Department and attained its past glory after it was opened by the road. Sakshi Ganapathi is small shrine located about 3 km from Srisailam and frequented by pilgrims since ancient times. on special occasion maha Shivaratri many numbers of devotees visited. The traditional belief is that the Ganapathi in this temple keeps a regular account of all the pilgrims to tender ‘Sakshyam’ (evidence) of their visit to this Kshetram and is named as Sakshi Ganapathi. The sculpture of this deity is exquisitely made holding a book in the left hand and ‘Kalam’ (pen) in the right hand in such a way as noting down the names of devotees. The first visit proves to visit srisailam temple. Hatakeswaram Temple, This picturesque spot is on the way to Srisailam of above 5 km away in a serine atmosphere. Green climate forest atmosphere welcomes us to the temple. According to the tradition at this place, God Siva appeared to a potter devotee in Atika (piece of Pot) and hence named as Atikeswaram and later it became Hatakeswaram. Srisailam Phaladhara temple history know more here. This most beautiful scene spot is located about 4 km from Srisailam. Tradition records that Bhagavan Adisankara performed penance at this place and composed the famous ‘Sivanandalahari’ here. This Phaladhara Pachadhara spot is in a narrow valley approached by a flight of steps where subterranean streams of pure water with musical sounds reverberating the surroundings. Dhara means flow stream. These streams are known as ‘Phaladhara-Panchadhara’ and these signify their origin from the fore head of God Siva, the Phaladhara (Phala=fore head, dhara=stream) and denotes the five aspects of Siva, the Panchadhara (Pancha=five, dhara=stream). The water from this stream flows at all seasons uninterruptedly. direct fall on lord shiva fore head. Sikareswaram place. This most sacred spot is located at about 8 km. from the main temple at a height of 2830 feet above the mean sea level. top peak point of mountain It is the highest peak of Srisailam. The Skanda Purana proclaims that a mere glance of this Sikharam frees the human soul from the fitters of re-birth “Srisaila Sikharam Drustva Punarjanma Na Vidya”. – There is a temple dedicated to Sri Veera Shikara Swamy and locally known as Sikhareswara Swamy. Panchamathams. The Mathas played an important role in the History and Cult of Srisailam. They were well associated with the religious and social activities of the temple in the medieval times. 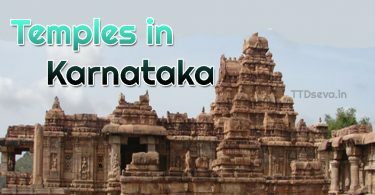 These mathas are popular as the Panchamathas namely Ghanta Matham, Bheemasankara Matham, Vibhooti Matham, Rudraksha Matham and Sarangadhara Matham. There is also a temple of Veerabhadra at the row if these mathas and is named as Veerabhadra Matha. These existing Mathas are located with in a distance of 2 km to the west of the main temple. Near Srisailam place, Istakameshwami temple is located in a dense and picturesque forest environment about 21 km to the east of Srisailam. This temple is an ancient structure datable. The sculpture of the deity is very unique authentic and have no parallel anywhere in India. The Goddess has a serene and beautiful smiling face which at once captures the attention of one and all. Lord Mallikarjuna swami Istakameshwari temple, It is believed that by having the darshanam of Istakameswari Devi one can fulfill all the desires. Bheemuni Kolanu. one of popular Place near by srisailam temple. The History Located between two steep hills, the rock ledge endowed with spectacular water falls, Bhemmuni Kolanu is the place through which the ancient foot path of Srisailam from the Southern and Western sides pass. very beautiful places, This pathway with excellently laid steps of solid stone slabs can be seen even today which are beginning from Nagalooty, a temple complex, in the dense forest. Schemes Daily Seva Pooja Schemes. The amount paid for the above Pooja Schemes, various devotees can offer special pooja, will be deposited in a Nationalised Bank and the interest amount of which will be utilised for the performance of the Poojas. Further the Pooja will be performed on the name and Gotra ( Goutrams) of the Devotee once in a year to his choice for a period of Ten ( 10 ) years only. Note : Once Accommodation is booked the booked Accommodation is non-transferable and it cannot be cancelled. Reach Srisailam by Air Way: The nearest Airport is Hyderabad (230 K.M.) from where buses are plying to Srisailam every day frequently. Rail Train way: Markapur, which is 91 K.M. from Srisailam in Guntur-Hubli, a line on South Central Railway from where buses are available to Srisailam. by Road: Telangana state government and Andhra Pradesh road transport commision provided special buses for Srisailam temple, normal buses srisailm is well connected by Apsrtc.Buses not only from all corners of the State but also from Kolkata, Delhi, Hyderabad, Bangalore, Chennai etc. For any information regarding Special Sevas, Accommodation Rooms facilities, Annadanam donation, Srisaila Prabha, Go-Shaala, Devasthanam Hospital, Please call to any of the following Srisaila Devasthanam Call center numbers. Annadanam Scheme, Anna Prasada Vitharana details will be provided here. Vedic puranas said “Annam Parabrahma Swarupam” and the person who performs Annadanam will be blessed by Gods.The Devasthanam has Saswatha Annadanam Scheme to provide Bhojana Prasadam for the pilgrims visiting Srisailam. provided quality food for all devotees. Details of Annadanam also provided here. Under this scheme, at present the Devasthanam is providing free meals to thousands of pilgrim every day. Further the Bhojana Prasadam is being served with Chutney, One Curry, Dall, Sambar, Buttermilk along with Pulihora and one Sweet item. Quality food with neat. The serving of meals is made in plantain leaves/ dining leaves.Devasthanam has recently introduced evening food/Alpaharam which contains only breakfast for the pilgrims. Service is done in a very hygienic manner using stainless steel trolleys, vessels and dining tables. Utmost can taken in preparation of the annaprasadam for the pilgrims. Annadanam at Annapurna Bhavan. Srisailam temple provided the best quality food at free of cost. The Annadana Mandiram named as “Annapurna Bhavanam” was newly constructed with a cost of Rs.3 Crores at the back side of Devasthanam Administrative Building which is very near to temple. This Annadanam building is modernized and consists of 2 dining halls, 2 waiting for halls by adapting the modern cooking ranges , Vessels, Trolleys and Ding tables. Minimum donation for this Saswatha Annadanam Scheme is of Rs.5000/- provided under basic plans and the donated amount will be deposited in Nationalized Banks and the interest derived on it will be utilized for the scheme and Annadanam will be performed with the Name and Gotra of the Donor once in year to his choice and for a period of Ten years. The donation for performance of Annadanam for a day is Rs.500/-. for donors, Photo identity card will be given to the donors who donate one lakh and above. To donate rice/vegetables please contact Temple managements AEO or contact Annadanam:9160995450 for better response. Offered Prasadam to devotees, Besides free distribution of Pulihora and Daddhojana Prasadams from the opening time of Temple timings till it closure, provided high quality prasadam with all material ingredients. 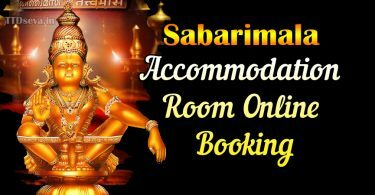 Paid Prasadams are also available also available. The above Prasasadams can be had from the Prasadam Sales counter located at the back side of Sri Ammavari Temple.